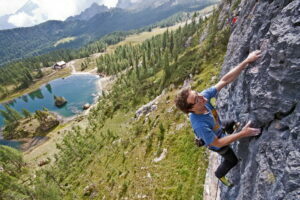 Sport climbing in Cortina. Improve your level and enjoy the Dolomites! 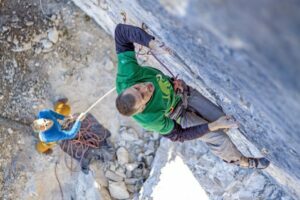 HomeClimbing Sport climbing in Cortina d’Ampezzo. The many sport climbing rock faces around Cortina give climbing lovers around two thousand pitches to try out, a truly significant number and one which is growing thanks to the constant hard work and undoubted passion which has always been a feature of those working to provide climbers with a new and ever changing playground. But it is certainly not just the number of pitches which attracts climbers from all over the world: sport climbing in Cortina means being in one of the most beautiful places in the world, set in a natural environment capable of treating visitors to indescribable views and unforgettable thrills. Yes, a beautiful place where forests and meadows have been collectively owned by the original community for centuries and the area has been carefully protected from building and abuses. 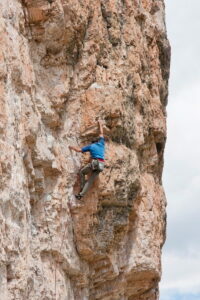 But let’s get back to sport climbing, the main theme of this post. The crags offer pitches of various difficulty and complexity levels and everyone can find a climb suited to their abilities from beginners to the climbing greats. The highest grade is 9a and there are plenty of 8c+ and 8c and lots of 8a-8b. For beginners there are several well-equipped faces with many grades suitable to beginners (Crags of Sass de Stria, Lagazuoi and Crepo Longo). There’s really something for everyone! 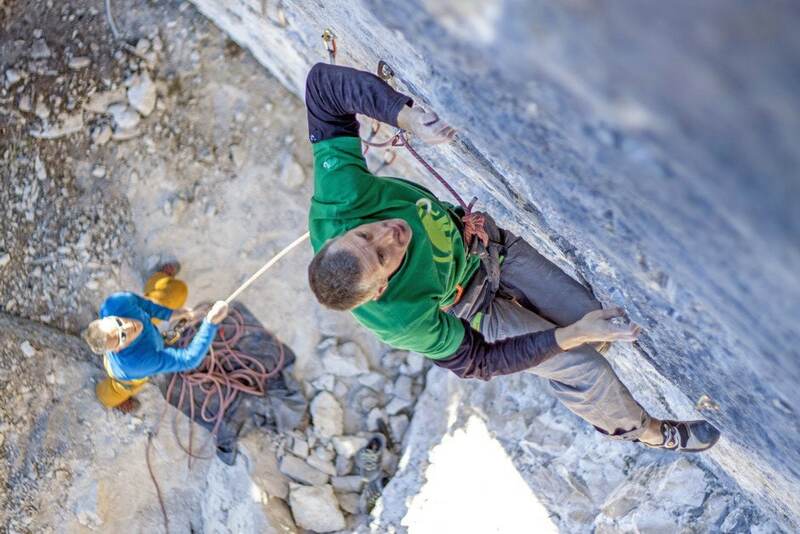 From the smooth slabs at Son Pouses to the overhangs of Becco d’Ajal, from the short and intense pitches at Sasso dei Finanzieri to the long and sustained pitches at Rio Gere and Setsas. The sport crags around Cortina feature a variety of different rock types and features: crimps, pockets, slopers; yellow, red, grey and black rock. There are no ribs however, these are not really found in the Dolomites. All the walls are well-equipped with bolts and chains at the rest places. There are very few pitches with obsolete equipment and these will, in any case, soon be put right. I advise 80 metre, or at least 70 metre ropes. On some faces, such as Cinque Torri, for example, where there are both sport climbing routes and traditional multi-pitch routes, helmets are advisable. Otherwise you need normal sport climbing equipment. During the summer period, from the middle of June to the beginning of August, the climate is pleasantly warm during the day and fresh during the night. From July to end-August there are sometimes thunderstorms in the afternoon. A warm sunny day can transform in a kind of hell in less than an hour. Considering the wind-chill factor, temperature can fall up to 15 degrees. I suggest that you always wear suitable clothing, however. There is a specific page on climbing rock faces in the Cortina d’Ampezzo area but it is, in any case, an incomplete list. If you want to climb in this area I would recommend that you buy this guide to Cortina’s crags and sport climbs. As far as climbing guides are concerned, last year Falesie a Cortina d’Ampezzo was published, an excellent book which I wrote a thoroughgoing review of here. The review is in Italian, but the guidebook is in three languages: Italian – English – German. do not alter the equipment on the rock faces in any way. The best time is from late May to October but November can be good too if snow has not yet fallen. 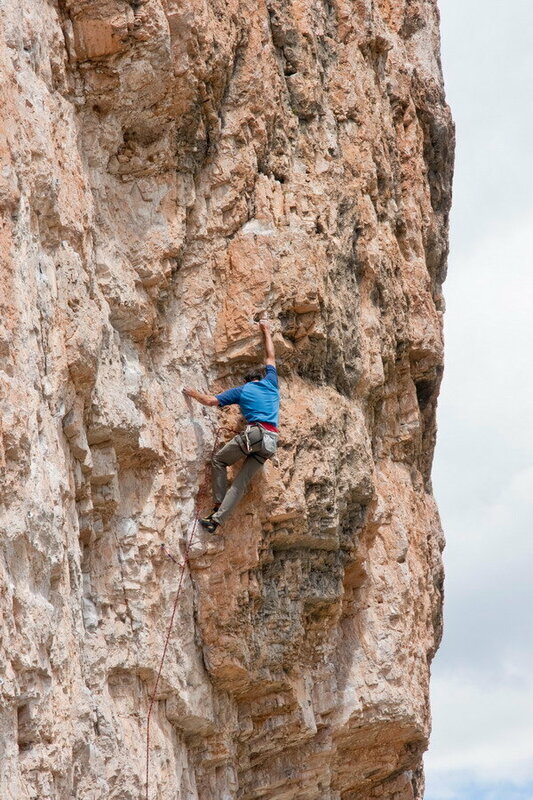 Whilst there are exceptions, Cortina’s winters are generally too cold for climbing. Cortina d’Ampezzo is in the north of the Veneto region, 44 km from the Austrian border. There are no trains to Cortina itself and the nearest train stations are Calalzo di Cadore to the south and Dobbiaco (Toblach) to the north. From these stations you will need to get a bus to Cortina (40 minutes – 1 hour). By car the town is less than an hour from the A27 motorway (Pian de Vedoia) and an hour and a quarter from the A22 Brennero Bressanone-Val Pusteria exit. There are also bus services to and from Venice, Treviso and Bologna airports. The Cortina Express Bus (www.cortinaexpress.it) and AVTO Bus (www.atvo.it) operate direct buses from Venice to Cortina d’Ampezzo. Go to the web sites for schedules and more information. The bus takes about 2-3 hours. There is a huge range of hotels and B&Bs and four camp sites in Cortina. It is also easy to rent an apartment (but you need to book ahead or very little is available). For other general information consult the FAQ page. Write to me, I’ll be happy to reply! My English is not the best and you’ll find a few mistakes in my answers but I’m a local climbing guide and I can certainly be of help.